Even though the Goods and Services Tax was introduced in July 2017, it’s been more than a year but the businesses are still coming across endless issues while filing their GST returns. However, the Government is taking the necessary steps to help the taxpayers overcome these issues and is devising solutions to make GST easy. 1 Can GST returns be filed only within the allotted window or can these be filed at a later date as well? The GST returns can only be filed within the allotted window. If a person fails to do so, then he can file the return when the window for that return reopens. 2 Is it mandatory to file GST return even if there are no sales? Yes, it is mandatory to file GST returns even if the value is nil. 3 If the returns for the previous period is not filed, can the same be filed for a subsequent period? In case a return is not filed for a subsequent period, then the same cannot be filed for a subsequent period as well. 4 Can the offline utility be downloaded once and used for filing GST returns multiple times? Yes, the offline utility can be downloaded once and can be used to file GST returns multiple times. 5 Is it mandatory to submit the details of HSN summary? Yes, the submission of the details of HSN summary is mandatory as it is a part of GSTR-1 & 2. The return does not match details of tax values as per the HSN summary with the main part of the return. 6 Is interest applicable till the date of debit to the respective ledger or till the date of deposit of cash in Electronic Cash Ledger? Interest shall be applicable till the date of debit to the respective ledger. Simply put, interest needs to be paid balance deposited in the cash ledger is set off against the actual liability. 7 Is late fee charged in case of all the returns? Yes, it is applicable in case of all the returns. Currently, the late filing fee has been reduced to 50 INR per return and 20 INR in case of nil return. 8 What is the difference between xlsx file and CSV file? These are the offline tools to file the GST returns. And, there is no difference between these two. CSV file is a better option in case of large data say more than 500 line items. 9 Can the returns be filed even if registration is granted in August 2017 or later? Returns can be filed from the period Registration is effective. 10 Can cash deposited under the minor head i.e. Tax/Interest/Fee/ Penalty/Others in the cash ledger be used only for payment of such Tax/Interest/ Fee/Penalty/Others liabilities or it can be utilized otherwise? Any amount once deposited as tax can be utilized for payment of taxes only but the same cannot be utilized for payment of fee etc. Further, if an amount is deposited as CGST, then the same can be utilized only for payment of CGST and not for the payment of SGST or IGST. 11 What is the course of action in case assessee is unable to file GSTR 3B and the amount is wrongly deposited as compensation cess instead of tax? In this case, one can send an email to GSTN to make the changes in the back end. The government has recently enabled the revise option, wherein GSTRB submitted but not filed can be revised and such errors can be corrected before filing. Further, there is form PMT 04 which can be submitted to make this correction. Presently, form PMT 04 is not made online, therefore one can submit the same manually. 12 If the late fee for July & Aug is waived and an assessee has already paid the late fee. Will it be credited as late fees only? As per the recent clarification issues, late fee will be credited back so that assessee can utilize the amount for the payment of their tax liability. 13 Will late filing fee be calculated for the days when the filing window is disabled by the GSTN? Yes, the late filing fee will be applicable and the same will be calculated up to the date of actual filing of the GST returns. 1 Do changes relating to earlier return need to be updated in subsequent GSTR 3B or GSTR 1? As per the guidelines issued by the Govt., aspects not covered in GSTR 3B like missed invoices etc. need to be considered in the final GSTR 1/ 2 and 3. As there is no mechanism for filing GSTR 2 and 3, therefore one can make the changes in subsequent GSTR 3B. 2 In case of supply of goods by SEZ, the details of supply of such goods need to be disclosed in GSTR 1? The liability to pay tax is in the hands of the recipient. Hence, the recipient needs to file a bill of entry and remove the goods from SEZ premises. Therefore, the recipient shall declare the details of such goods in his GST return as imports. 3 Where do we need to disclose the details of supply of services by Special Economic Zones (SEZs)? The details of services by SEZ is covered under forward charge and it is supposed to collect and pay GST on the same. Hence, it should be treated as an outward supply for the SEZ and should be disclosed in the returns. 4 Where should the details be disclosed in case of supply of goods or services to SEZ? Supplies relating to deemed exports must be disclosed in sl no.4 and not under sl no. 6A i.e. exports. 5 Where should the details relating to supply of deemed exports be disclosed? Supply of goods/services to SEZ amounts to zero-rated supply and it must be disclosed in sl no.4 and not under sl no. 6A i.e. exports. 6 How to disclose the credit note details in case of B2C small supplies? Supplies to consumers are to be reported in a consolidated manner (intra-state supplies to consumer and inter-state supplies of invoice value less than INR 2.5 lakhs), the credit/debit notes are not required to be reported separately. Such supplies have to be reported in a consolidated manner net off the values of credit and debit notes. 7 If the GSTIN of the customer is incorrect or if the same is not provided, can he upload the GST returns? The details can be submitted in B2C for the time being and once the recipient provides the correct GSTIN. The entries for the past entered in B2C can be revered and a contra entry can be made in B2B supplies and accordingly credit can be passed on. How to enter the details of multiple tax rates for the same invoice? GSTR 1 shall accept multiple tax rates only when the invoice value is kept same and not split into various tax rates. 9 In case where quantity discount is given by way of a single credit note against multiple invoices. How to disclose the same? Currently, allowing a single credit note against multiple invoices is not allowed. Hence, one has to either issue multiple credit notes and match it with each invoice or identify any invoice which can cover the entire discount/incentive, and raise it in relation to that invoice. Internal communication is to be documented for computation of discount or incentive. 10 What is the difference between invoice value and taxable value? The ‘Total Invoice Value’ means the invoice value inclusive of taxes whereas taxable value shall be the value as per the GST law in accordance with the GST valuation. If invoice and advances received both fall in the same month need to be disclosed under the head of advances or as invoice? Such details need to be disclosed in invoices and details of advances are not required to be disclosed again. 12 Where should the details of cross-border transaction on which tax is paid as ‘intermediary’ be disclosed? Cross-border transaction is also liable for GST as the place of supply falls within the taxable territory. It comes under B2C transaction as the recipient is not having GST Number. So, details must be disclosed in the returns. 13 What is to be done in case the system does not recognize the recipient as SEZ while entering the GST Number of SEZ? There is a possibility that the respective SEZ while registering did not update the details properly. Therefore, the recipient needs to update his GST registration and send an email to GSTN to enable the flag of SEZ. 15 Where should one disclose the liability to pay tax under RCM? Liability for tax payment under RCM needs to be disclosed in GSTR 2 and Table 4B of GSTR 1 should not be used to fill in Liability under RCM on Inward Supplies. 16 How should the transactions through E-commerce operators be reported? All supplies must be reported through “other than E-commerce” tab without E-Commerce GSTIN. The provisions relating to TCS have been deferred for now. 17 Is shipping bill number mandatory while declaring export invoices in GSTR-1? No, it is not mandatory, a taxpayer can furnish details of the export invoices in GSTR-1 without shipping bill number. However, refund of tax paid on exports will be processed on the basis of shipping bill no. Therefore, in that case, a person claiming rebate must enter the details of shipping bill. 18 Does one need to report the purchases from unregistered person subjected to reverse charge for which the recipient issues a tax invoice? All the purchases from unregistered person subjected to reverse charge, for which the recipients issues a tax invoice are to be reported in GSTR-2 (and not in GSTR-1). 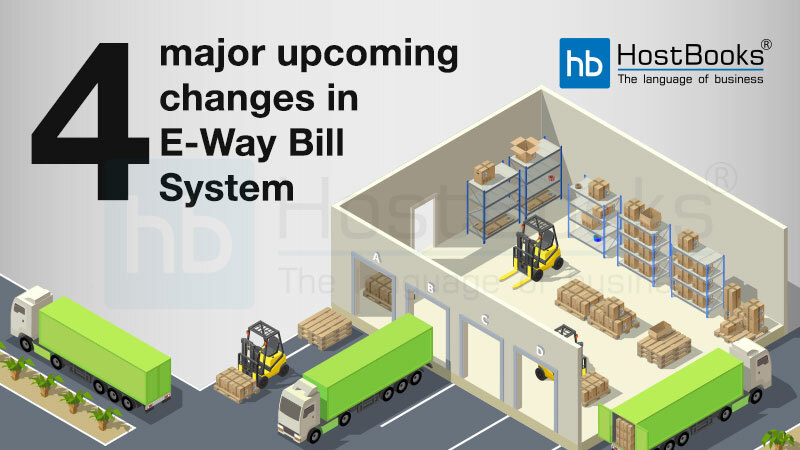 If a consolidated invoice is raised then the same must be raised separately for intra – state RCM and inter-state RCM since the system will not accept it otherwise. 19 What should be done if we are unable to view the invoices uploaded and the same does not even get reflected on the summary tab? Scroll down to the bottom of GSTR-1, details of outward supplies of goods or services page and click on GENERATE GSTR-1 SUMMARY button. This will include the auto drafted details pending for action from recipients. Also, the added invoices will start reflecting in the relevant section of GSTR-1. 20 If an assessee opts for composition scheme mid-way, does he need to file GSTR 1, 2, 3 or only GSTR 4? Taxpayers who have opted for composition from the beginning will be able to file GSTR-4 on the portal. But, those who have opted for composition later will have to file GSTR-1, 2, 3 for some period of time till the facility is enabled on the portal. 21 In case the tax is paid under a wrong head (i.e. CGST/ SGST instead of IGST). How can the same be corrected? Any amount in excess of the cash ledger then the same can be done by using Table 14 of GSTR 3 – Column 7. Once a debit entry is filed the refund will be filed. And, when GSTR 3 is filed it will get credited to the bank account given during registration. One can also raise a grievance in the GST portal and send an email to GST help desk. Whether DSC is mandatory for filing returns? DSC is mandatory only in case of all Public & Private Limited Companies, Limited Liability Partnerships (LLPs), and Foreign Limited Liability Partnerships (FLLPs). 24 When are Credit Notes supposed to be reported in the return? Credit Notes are to be reported in the month in which they are issued but not later than the return of the September month following the end of the financial year in which such supply was made, or the date of furnishing of the relevant annual return, whichever is earlier. 25 How is the tax paid on advance payments adjusted against the invoice(s) issued in the subsequent tax period(s)? The taxpayer has to declare the advance that has to be adjusted in the tax period in which advance is received. 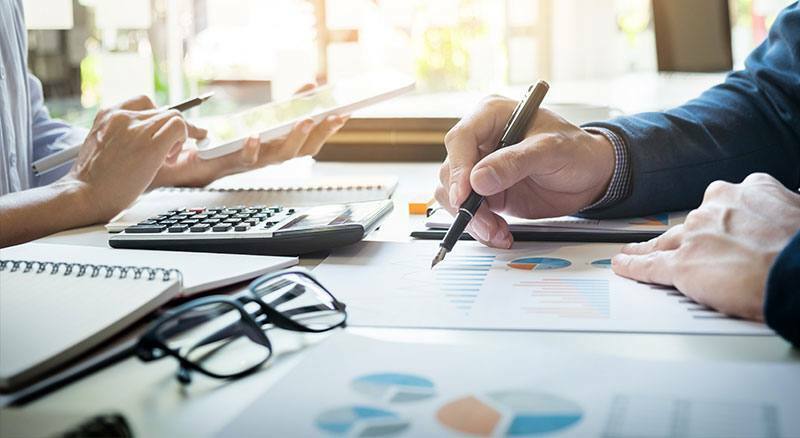 On the issue of invoice, the taxpayer can adjust the tax liability of the invoice issued in that tax period, in the GSTR-1 relating to that period. This can be shown in the advanced adjustment table of GSTR-1. 26 Can a registered taxpayer have multiple series of tax invoices? Yes, a tax payer can have multiple series of tax invoices in a financial year. There is no limit on the number of series of tax invoices that one can have in a financial year. 27 Up to how many decimal digits need to be declared in GSTR-1? Values like invoice value, taxable value, and tax amounts are to be declared up to 2 decimal digits. The rounding off of the self-declared tax liability to the nearest rupee will be done in GSTR-3. 28 If a taxpayer is unable to view the invoices, then what should be done? Scroll down to the bottom of the GSTR-1 – Details of outward supplies of goods or services page and click on GENERATE GSTR-1 SUMMARY button. This will include the auto drafted details pending for action from recipients. Also, the added invoices will start reflecting in the relevant section of the GSTR-1. In case you want to see the summary instantly, you can also generate the summary by clicking the GENERATE GSTR1 SUMMARY button after the generation of invoices. However, the summary can be generated only at an interval of 10 minutes. In case you attempt to generate summary again (within 10 minutes of earlier generated summary), an error message may pop on top of the page. The summary is generated by the GST Portal automatically at an interval of every 30 minutes. You can also check if any error file has been generated on the uploading of JSON generated from Offline Tool. If any error file is generated, you can download the error report and rectify the issues using the Offline Tool. 30 What is the cut-off date for the entry of invoices in GSTR-1 if a normal taxpayer opts for composition scheme? In cases a taxpayer opts for composition scheme, GSTR-1 will be available for filing only for the period during which the taxpayer was registered as a normal taxpayer. The taxpayer would be able to file GSTR-1 for the said period, even if filed late, for the period prior to opting composition scheme. 1 Does one need to file GSTR 2 for the period July 2017 to March 2018? Currently, there is no clarity regarding the filing of GSTR 2 for the period July 2017 to March 2018. But, the same is also not suspended. The government has formed a committee of officers who shall look into it and suggest the action in future. Until the committee gives its report, it can be assumed that for the time being the returns need to be filed. 2 How to disclose the reversal of credit in respect of inputs and input services? Details of reversal of credit will not be automatically calculated and need to be manually calculated and updated in GSTR 2. 3 How to disclose the reversal of credit in respect of Capital Goods? Details of reversal of credit need to be manually calculated and updated in GSTR 2. Further, in case of capital goods, if the assessee has both taxable and exempted supply, then credit can be initially availed in full and the same needs to be reversed on monthly basis along with interest. 4 Does any action has to be taken on every outward supply mentioned in my GSTR 2/2A? Yes, action needs to be taken on every outward supply mentioned by the supplier for filing GSTR-2. The taxpayer can take the action of keeping an invoice pending which has not been received by the recipient in the concerned tax period. The invoices kept pending are carried forward to the next tax period of GSTR-2A/2. 5 For how long one can keep the invoices pending? Invoices can be kept pending up to September of the next financial year of filing an Annual return, whichever is earlier. 6 Whether invoices can be accepted one by one or whether the same can also be accepted in bulk? Approval of invoices one by one with respect to inward supplies in GSTR-2 is a long process. Currently, there is no alternate mechanism too. The invoices of one vendor can be selected and accepted in bulk. 7 What happens to an invoice if we reject it in form GSTR-2? Does it get transferred to GSTR-1A of the supplier? The rejected invoices are auto-populated to the concerned supplier and can be accepted for rejection/amendment in his GSTR-1A/GSTR-1/5. 8 Can a previously accepted invoice received from a supplier be modified or rejected after filing form GSTR-2? It is not possible to modify or reject (delete) an invoice once it is accepted and filed in form GSTR-2. As per the laid down rules, amendments can be made in the following month’s return in Table – 6A. 9 If an invoice is rejected by mistake, then what is the course action to be followed? The recipient must make a request to the supplier to either accept the rejection or amend the invoices rejected. In case of acceptance of rejection, the invoice can be added by the supplier as a new invoice or by the recipient as a missed invoice. In case of amendment of invoices, it will be populated to the recipient as modified invoices to accept/ reject the amendment. 10 Can input tax credit be claimed in form GSTR-2 even if supplier has not filed GSTR-1? Yes, input tax credit can be claimed in form GSTR-2 to discharge the liabilities. In case of reversal of ITC due to mismatch on account of failure of return filing or non-payment of taxes, interest will be levied on the excess ITC claimed by a receiver taxpayer from the date of filing of GSTR-3 to the day the receiver taxpayer discharges the excess liability along with interest. 11 Can the status be changed in case of modification, acceptance, or rejection a number of times till submission? Yes, until the return is submitted the status of the invoice can be changed from modifying, accepting, or rejecting. 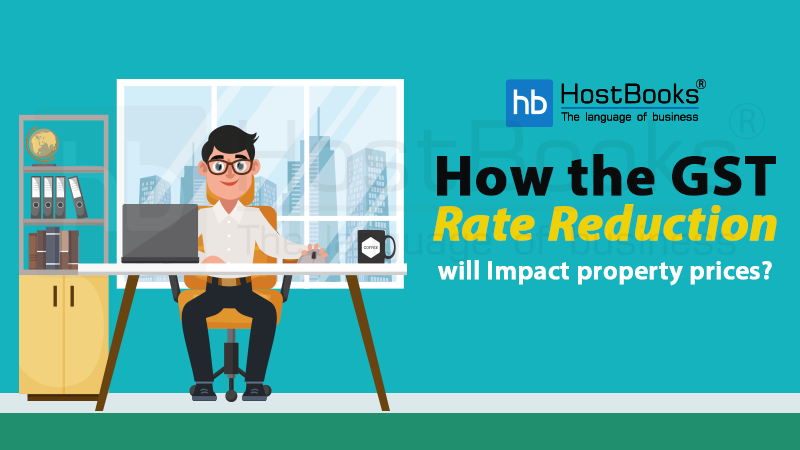 However, once the invoice has been modified and if someone needs to revert to original details, then the modified invoice should first be rejected. Once the status is changed to reject with original details then the same can be later accepted. 12 Can GSTR 2 be filed before GSTR 1? Yes, GSTR 2 can be filed before the filing of GSTR 1. The details declared in GSTR-2 gets auto-populated to GSTR-1 and the supplier is expected to take an action. (Accept/Reject/Pending) on such details before filing his GSTR-1. 13 How can reversal of ITC be calculated if there is no turnover in the current tax period? In such a case, reversal needs to be calculated based on the turnover reported in the previous tax period. 15 In case assessee is not eligible to avail the input tax credit, then can the action ‘rejected’ be taken? No, the action of ‘rejection’ must be taken only when the invoice does not belong to the assessee. If it is a valid purchase, then such invoice must be initially accepted and later the same must be flagged as ‘ineligible’. 16 How one can avail the credit if the same is deemed ineligible because of wrongly entered PoS and location of supplier and place of supply fall under a different state? Such invoice must be rejected and the same invoice must be added as a missing invoice with correct PoS. 1 If the tax is paid under wrong head (i.e. CGST/ SGST instead of IGST). What should be the course of action? Table 14 of GSTR 3 – Column 7 –Debit Entry No’s is to be used to claim the refund. Once GSTR 3 is filed it will get credited to the concerned bank account. Further, one can raise a grievance in the GST portal and send an email to GST helpdesk who can do the appropriate changes at the back end. 2 Is it necessary to disclose the details of purchases from unregistered dealers as exempted inward supplies? Yes, details of Unregistered Dealer purchases need to be disclosed in the exempted inward supplies tab. Treating Exports as Nil rated instead of Zero rated. As per the circular issued by the Govt., any aspect not covered in GSTR 3B i.e. missed invoices. In that case, the same needs to be considered in the final GSTR 1/ 2 & 3. However, since there is no mechanism for filing GSTR 2 and 3, therefore one can do the changes in subsequent GSTR 3B. It is expected that government will soon come up with a detailed clarification in this regard. 4 Is there any order in respect of utilization in case CGST and SGST credit is available and can be utilized for the payment of IGST liability? No, there is no such utilization sequence given in law in this regard. 5 Does GSTR 3B automatically apply the set-off mechanism as per law or do we need to manually apply the same? The system applies the set-off mechanism automatically and allows off-set only in the manner prescribed by the law. If funds are deposited under the wrong tax head, then fund to such extent gets blocked and additional funds need to be deposited as correct tax to ensure off-set and filing of returns thereon. 6 What is to be done to file GSTR 3B if TRAN 1 is submitted but not filed? This problem comes if the TRAN 1 is submitted but not filed then tax payers were not able to file the GSTR 3B unless TRAN 1 is filed. 7 Will there be any invoice matching in GSTR-3B? No, all the details in GSTR-3B will be self-declared in summary manner and the taxes will be paid based on table 6 of GSTR-3B. 8 Whether we need to give the details of inward taxable supplies? We are not supposed to enter all details of inward taxable supply in GSTR 3B. Only details of Eligible and Ineligible ITC need to be declared in table 4. 1 Can bulk data for filing of Form TRAN 1 be uploaded through offline utility? The offline utility can be used only in case of submission of details of statutory forms received. However, recently GST portal has also enabled the bulk data submission through .csv file for the following Capital goods credit, job work challans and details of goods/ services in transit. Offline data filing is not available for availing invoice wise credit u/s 142(11) (c). 2 Invoice no. and date are required to be submitted in case of claiming credit u/s 142(11) (c). What are the details to be submitted to avail credit u/s 142(11) (c) in this case? Demand letter number, if it can be considered as an invoice and accordingly such details can be submitted. If no number is assigned to a demand letter, then a unique number can be now assigned for each demand letter and accordingly the details can be submitted. 3 Is it mandatory to submit the details of all pending statutory forms? The details of pending statutory forms need to be submitted only in cases where after adjusting the pending forms, the VAT credit can be still carried forward. However, if the position is that of payable after adjusting the balance credited, then the details of statutory forms received is not required to be submitted. If details of all pending statutory forms are entered even if no carry forward of credit is there, then the credit would be negative and will be displayed as tax payable in electronic liability ledger. 4 In case of serial no. 7(c), while availing VAT credit on stocks, which details need to be filled in the number field? Does that symbolize invoice number? No, it does not mean invoice number as stock details are not required to be given invoice wise but description wise. It can be the serial no. 5 In case of centralized registration, what shall be the basis for calculation of computing and transferring ITC to other locations? As per section 140(8), the same would be prescribed but as of date has not been prescribed. Therefore, distribution can be on a reasonable basis. 6 Transfer of credit through centralized registration number asks for invoice/ document no. and date. What details need to be entered in this case since no invoice is issued in this regard? As this is not a case of distribution by virtue of ISD therefore, there is no requirement to raise an invoice in such cases. But, as it is a mandatory field to be entered, one can create a manual invoice/document for such transfer and submit the details accordingly. 7 In case of TRAN 1, certain invoices do not get processed and an error message as “Invoices processed with error” appears. How can one resolve this issue? If such an error appears, the form should not be submitted till such error is rectified & remark of processed invoices is displayed. This error occurs mainly due to non-submission of the earlier registration number (such as CE/ST/VAT) from where the credits are transferred. This error can be rectified by amending the non-core fields to that extent and by updating the earlier existing registration numbers. 8 In case credit is reversed under the earlier law due to payment not made within 3 months. Can such credit can be considered in TRAN forms? No, such credit cannot be considered in TRAN 1 form as there is no specific field/ functionality. One can avail such credit directly in the GSTR 2 in the GST regime. 9 Can credit related to capital goods in transit can be availed in Form TRAN 1? The same can be availed under the head Capital goods u/s 140(2). But, it should also be intimated to the department. 10 Can one avail the credit of stocks based on the value of semi-finished goods/ finished goods? Credit is not allowed on the value of semi-finished goods/ finished goods. It is merely available on the inputs portion involved in such value. Credit is also not available on conversion charges. 11 If the product is unconditionally exempted from excise or nil rated in excise, can benefit of deemed credit scheme available for traders? A trader in such a case cannot claim the benefit of standard credit @ 40%/ 60%. However, the benefit can be availed even if product covered under concessional rate of excise duty – 1%/ 2%/ 6%. 12 How to avail the balance of advance service tax paid, PLA balance, security deposit, etc.? The same cannot be availed by virtue of TRAN form. The same has to be applied for. 13 Will the Electronic Credit Ledger get updated based on information entered in Form GST TRAN – 3? Ledgers cannot be updated with ITC based on Form GST TRAN – 3 filed. However, it may be updated after the verification process. 14 What can be the reason behind the credit not appearing in electronic credit ledger even after filing of Form TRAN 1? 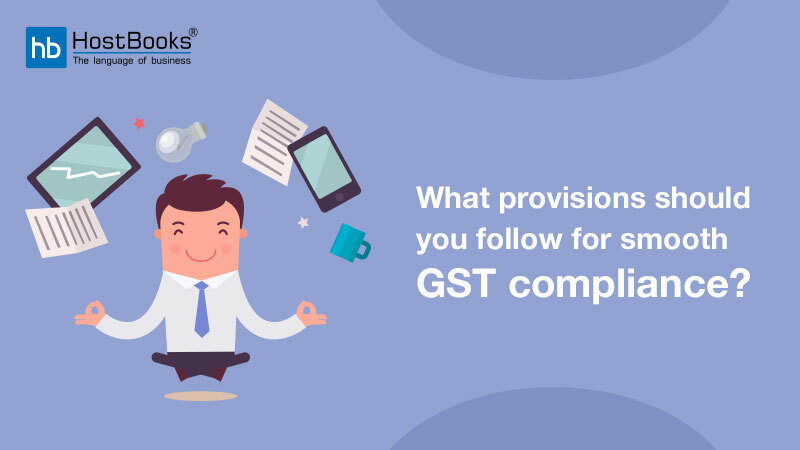 This issue can be resolved by following up with GST help desk to make the required changes at the back end. 15 In case of same C-form having different rates i.e. 5%, 13.5%, etc. system does not accept and an error pops up as ‘different rate not accepted’. What is the course of action to be followed? In this case, one can prefix ‘zero’ to the c form and submit in which case system should accept the same. 16 Can transitional credit in respect of stocks be availed for the stocks beyond one year? The credit is not available. However, a writ petition challenging such claim has been filed in the Delhi High Court. 17 In TRAN 2 credit can be availed based on the stock supplied. However, if such stock supplied is returned, should the standard credit availed be reversed too? Presently, there is no such obligation to return the credit availed. 18 Why do we need to file Transition Form GST TRAN – 3? Every registered person who was registered under Central Excise Act 1944 and has issued Credit Transfer Document (CTD) and every registered person who is making use of ‘Credit Transfer Document’ to avail transitional credit is required to file ‘Form GST TRAN – 3’ within 60 days of the appointed date. 20 Can the details once submitted in the Form GST TRAN – 3 be modified? No, the details cannot be modified in such a case. 21 Can the traders avail credit more than 40% or 60%? No, according to the guidelines, the additional credit is not available. 22 Do we need to attach any document along with transition Form GST TRAN – 1? There is no need to upload documents as an attachment along with transition Form GST TRAN – 1. If the details are beyond a certain limit, the same will be uploaded to the portal through an Offline Utility tool.